Other Elements Available: Alternative Tolerances, Ros, and/or Alpha Values. 참고: These elements are not intended for direct immersion into liquids. replace the “-2-” with “-3-” in the model number. For leads over 36", change the “36” in the model number to length desired and add $2.25/ft (Styles 2 & 3) or $1.40/ft (Style 1). 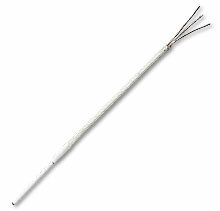 Other RTD elements are also available with lead wire attached; consult Sales for Availability and Pricing. Terminations available: “-LUG”, add $4.50. For miniature connectors, use suffix “-MTP” or “-OTP” for standard size connectors and add $7.